David Hammond has joined used vehicle database Cazana.com as non-executive chairman. David Hammond, chairman at Cazana. Founded in 2013, Cazana is claimed to be the largest car search and indexing engine for used cars on sale in the UK, with more than 600,000 cars listed for sale on the website and records of all 37 million vehicles on the road. 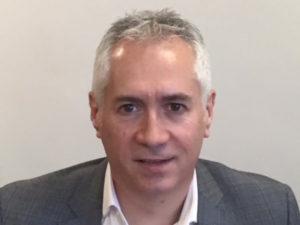 Hammond has previously been involved at very senior levels with businesses such as Camden Corporate Fleet Services, Car Shops, Allen Ford, Crystal Motor Group and currently CEO of Camden Ventures. “Cazana’s unique business model is one that is going to bring both value and enabling technology to the motor industry. I’m delighted to be joining the board as they continue to bring innovative data products to both the UK and international markets,” he said. His appointment comes a few months after Cazana received investment totalling £1.75m, including from Robert Diamond, former managing director of the RAC, who has become a key adviser to Cazana, together with Andy Homer, the former CEO of Aviva and AXA. The company also recruited former Glass’s director Rupert Pontin as head of valuations late last year while Steve Worrell, ex-Glass’s sales director and former national sales manager at Cap HPI, joined the team in January 2018.